An investment in the people, ideas and facilities at HSS has an immediate impact. One out of every two adults in the United States is affected by a musculoskeletal disease or disorder. Three out of every four people over the age of 65 are affected. HSS is the world leader in treating and researching orthopedic diseases and disorders. Philanthropy enables our world-class team to improve lives and provide the best patient care possible. At a time when people are living longer than ever before, the need for continual advancement in the treatment and prevention of joint disease, pain and injury is more critical than ever – both to keep our population healthy as we age, but also to mitigate the enormous financial burden of healthcare on our society. As the global leader in musculoskeletal health, we are committed to applying our specialized expertise and experience to improve the quality of life for countless patients worldwide. It is our purpose – it is our mission. When you support our work, you are ensuring we can be there for patients when it matters most. 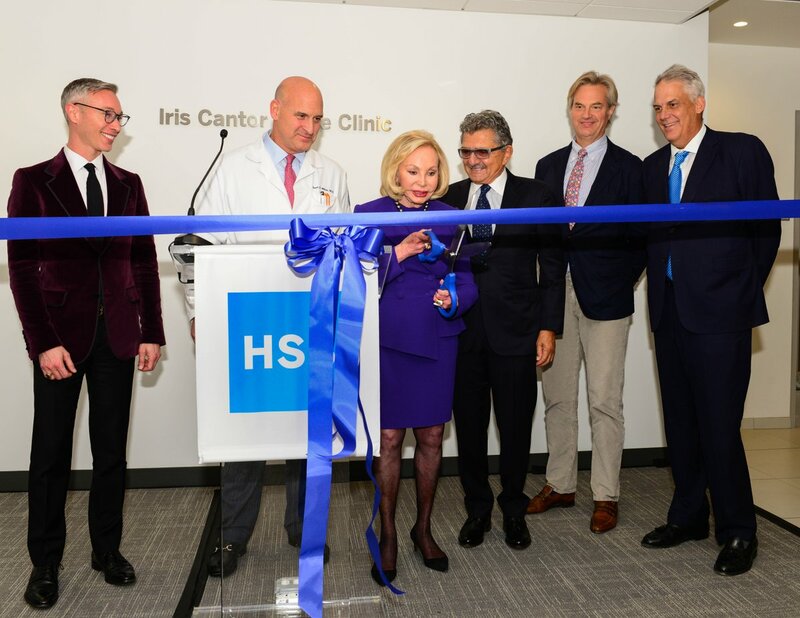 Endowments allow physicians at HSS the freedom to explore the next breakthroughs in medical treatment by providing a dependable stream of funding. Read about our current endowments or contact us to learn about how you can support HSS for years to come. Education has been at the forefront of our mission since 1888. HSS is also committed to helping underserved people of all ages in our community. Read our latest report to the community. Donating stock is a wonderful way to support Hospital for Special Surgery. In most cases you will avoid paying capital gains tax, while receiving a charitable deduction for the full market value of the stock. Please call 212.606.1196 between 9 am and 5 pm ET to make a gift using your credit card or with questions about making a gift. This year’s HSS Family Benefit for Pediatrics took place on Saturday, December 1, 2018, at National Geographic Encounter: Ocean Odyssey. The Pediatric Benefit supports the Lerner Children’s Pavilion at HSS – a best children's hospital for orthopedics (U.S.News & World Report 2018-2019). View photos from this year's benefit for pediatrics. This year’s Annual Autumn Benefit took place on October 26, 2018, at Guastavino’s. The Autumn Benefit is the only benefit at HSS dedicated to raising funds for research, training, education and academic programming. View photos from this year's autumn benefit. We celebrated The Honorable William W. Bradley and Paul M. Pellicci, MD, Attending Orthopedic Surgeon and Chief Emeritus of the Hip Service at HSS on June 4th, 2018. The event raised $4 million in support of HSS. View photo's from this year's tribute dinner. On February 12, 2018, we hosted our annual HSS in Florida panel event, at The Breakers in Palm Beach. The event shared advice from leading experts in orthopedics, physiatry, and physical therapy here at HSS. With nearly 400 in attendance, this was our most successful HSS in Florida event to date. View HSS in Florida photos from the event. If you have questions or comments about making a gift to HSS, or would like to be added to our mailing list, please contact us. HSS Foundation is a registered US trademark owned by Hospital for Special Surgery.